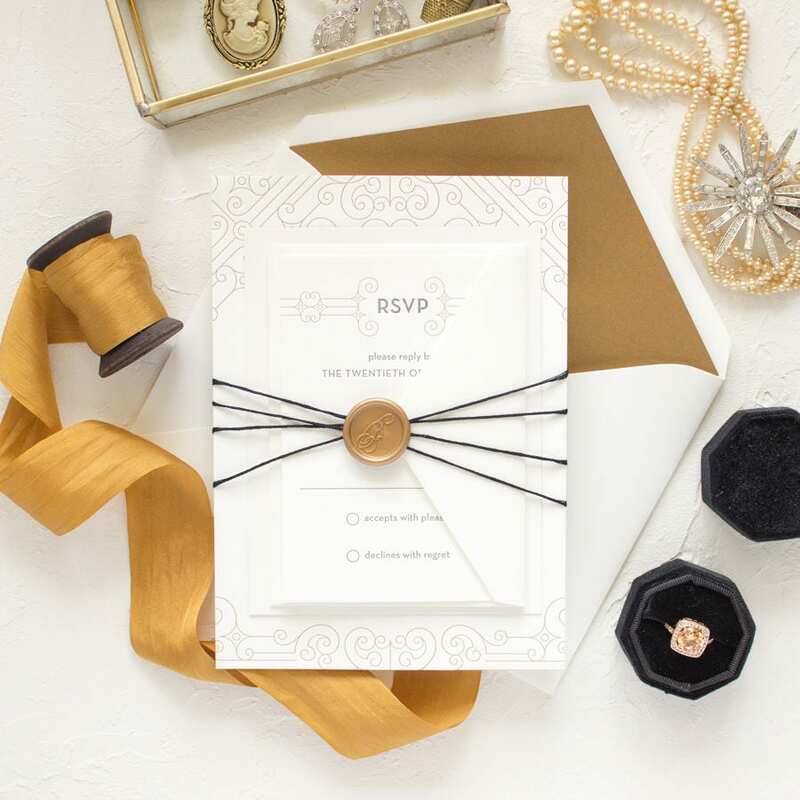 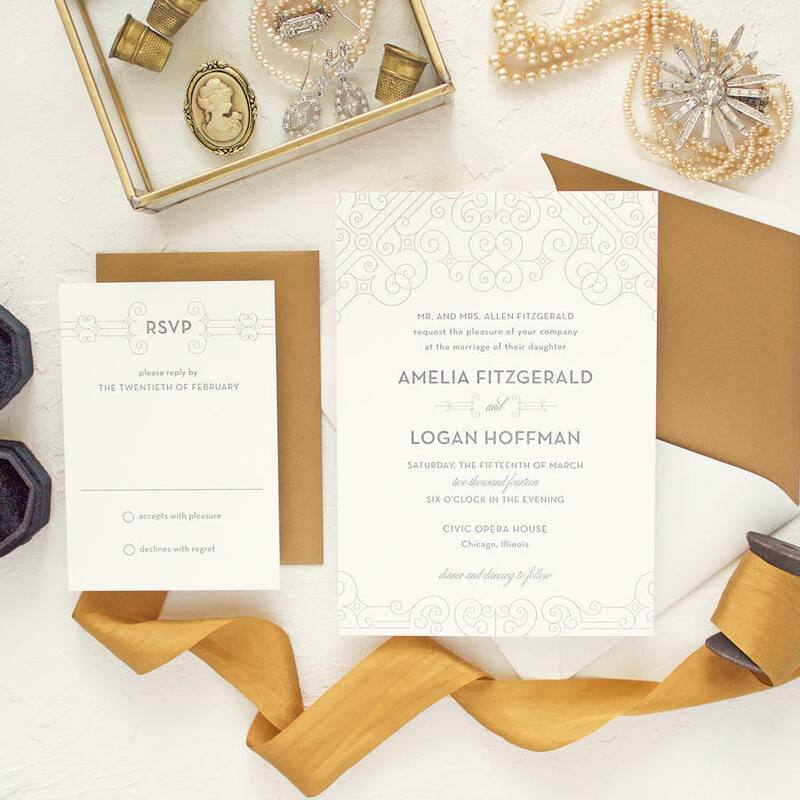 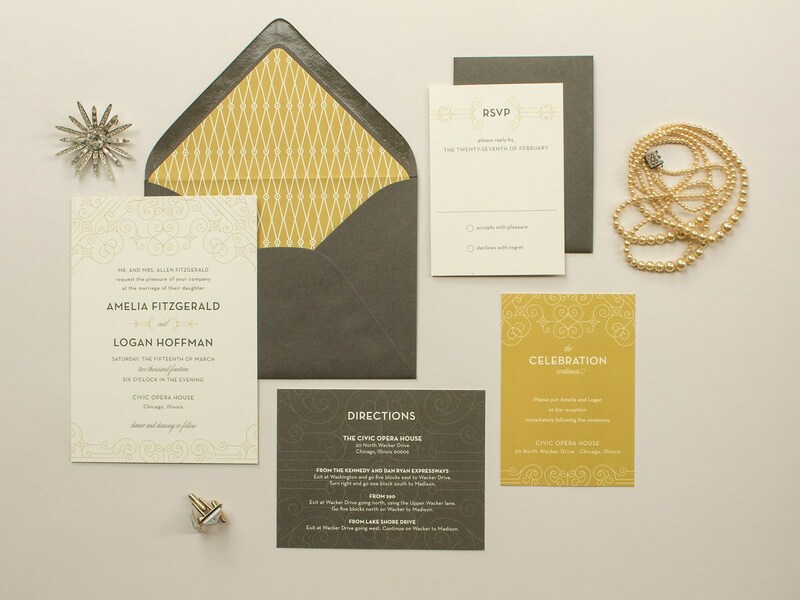 These elegant wedding invitations have a vintage art deco feel and feature metallic gold letterpress ink. 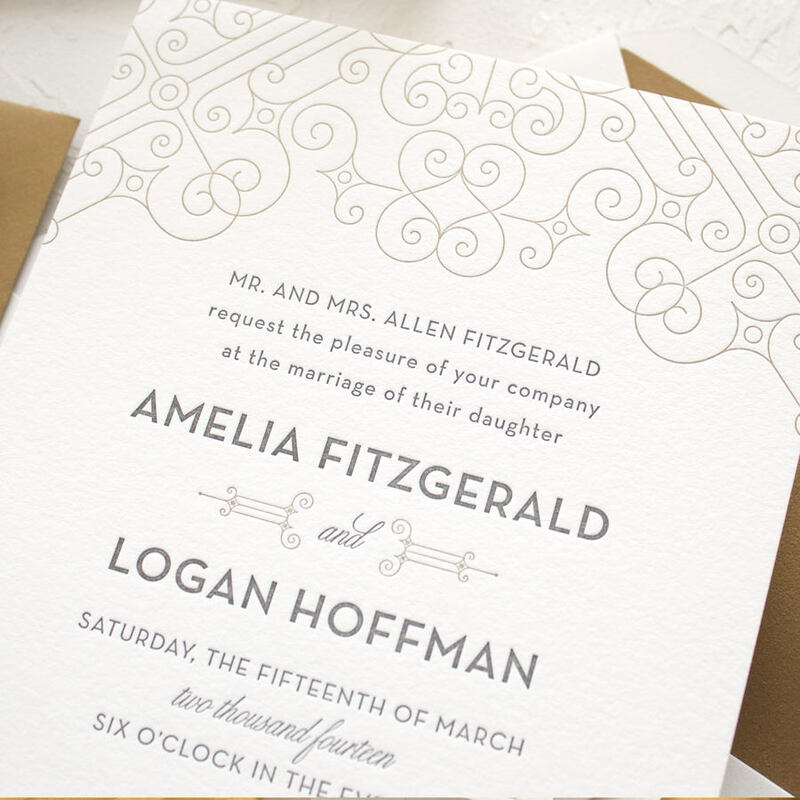 Vintage letterpress wedding invite samples are pulled from current orders and may feature slightly different wording or fonts. 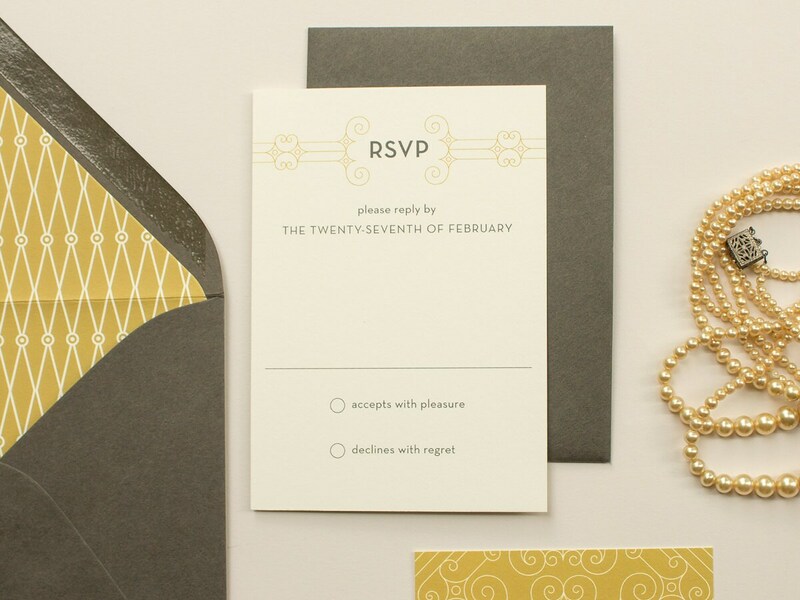 LETTERPRESS (photos 1, 2, + 3): 2-color letterpress printed on 110# 100% cotton paper in pearl white in Slate and Metallic Gold inks.